Labeling products sent to Amazon is required so that your products can be tracked throughout the receiving and fulfillment process. 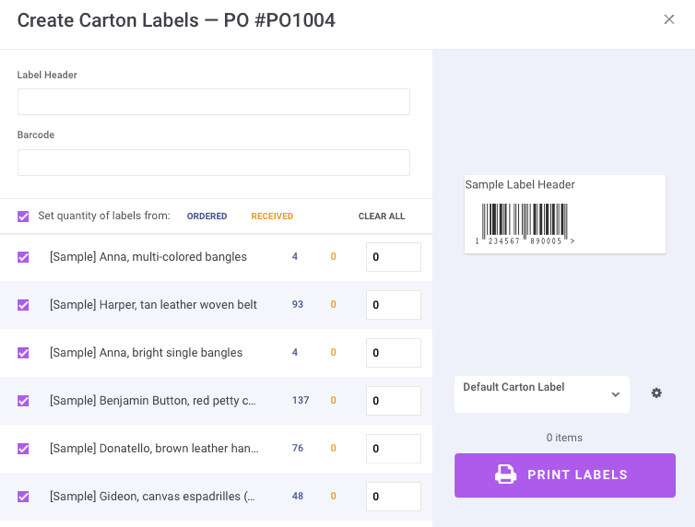 In order to customize your labels, scroll down to the bottom of any given purchase order. 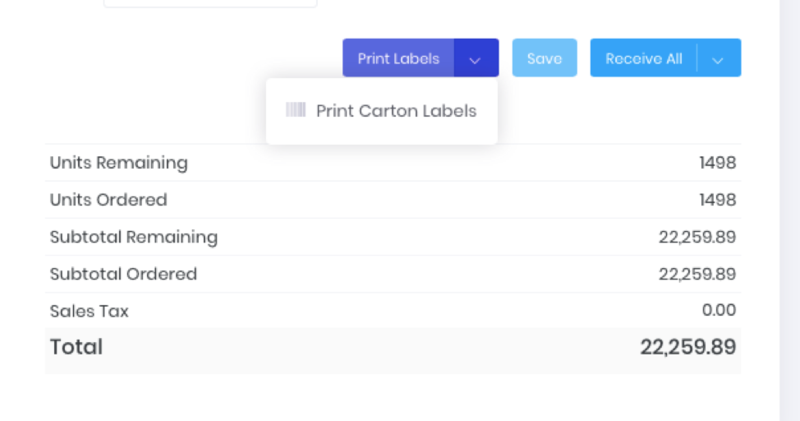 There you will select Print Labels to print product labels or Print Carton Labels for (you guessed it) carton labels. From there, you can specify how many labels you'd like printed for each SKU or carton. Click on the Gear above the Print Labels button to see the configuration screen. There is a lot of flexibility in terms of creating your label. You can print one for each SKU, or print them for entire cartons of merchandise. You can also create templates to save in Inventory Planner and pull them up by name. 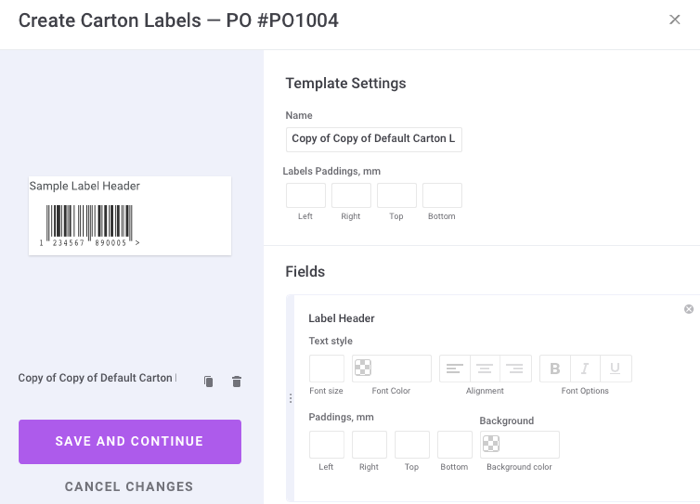 The Label Paddings feature lets you make customized margins for your labels. Optimize your label sizes for your DYMO or any other label printer. The Barcode type. The barcodes are EAN13, UPCA, and Code 128. They are already programmed in Inventory Planner’s labels work with any standard barcode reader. Use the Scale feature to make the label exactly the size you require. The field can be any SKU, a barcode, vendor reference, or Amazon FN SKU. The vendor reference is your supplier or vendor SKU. If you are shipping something to your vendor and you want to put the vendor reference on there, then your supplier can reference their internal SKU. The Amazon FN SKU is easily pulled from Amazon Central. If you want to add the price to your label, you will use the Price field. The Title field can be the order number or the name of the product that was purchased. The Condition allows you to add text at the bottom of the label.